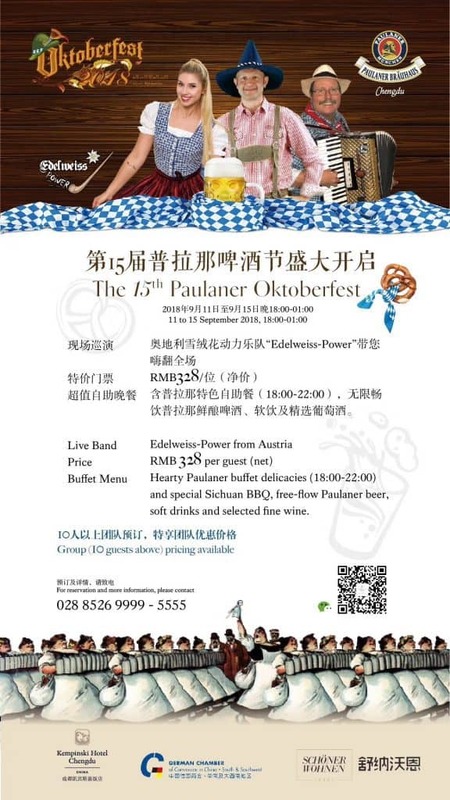 The 15th annual Paulaner Chengdu Oktoberfest is coming up! Time discover a unique, traditional and authentic Bavarian Festival, and to celebrate it with your friends. Enjoy the most authentic Homebrewed Bavarian beer and food in town. Please contact Paulaner Bräuhaus Chengdu for reservations or more info. +86 28 8526 9999 -5555.